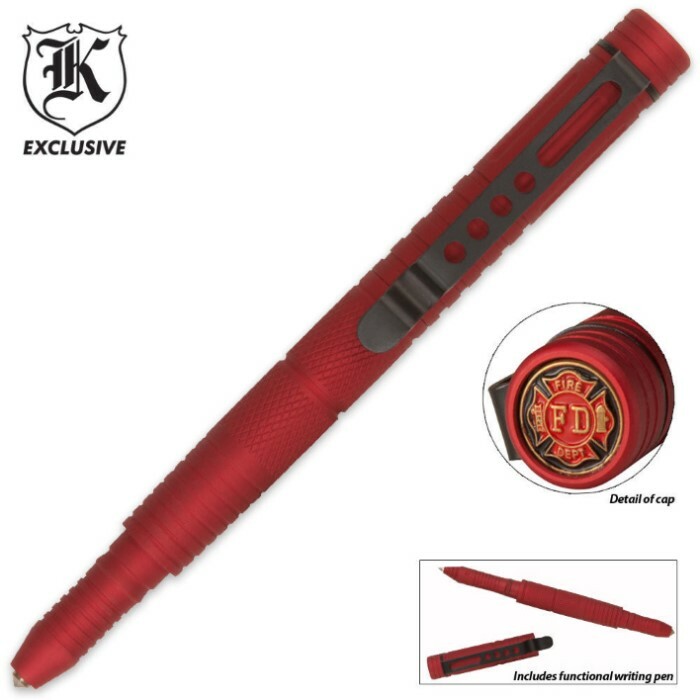 I love this pen it is a great value to boot. However the makers of this pen should make a better locking bushing. when you pull the pen cap off to use the pen there is a rubber O-ring on the inside of the cap part (the part that has the clip)this is what keeps the cap from falling off when yopu put it together. but if you pull the cap off too rough the O-ring will come off and if you lose it the cap and the pen body will not stay together I was lucky I found it and was able to place it back inside the cap. this should be reviewed and redesigned or at the very least give you spare O-rings. Sure, my order arrived quickly, and was complete and well-packed. But I what amazed me was the value! 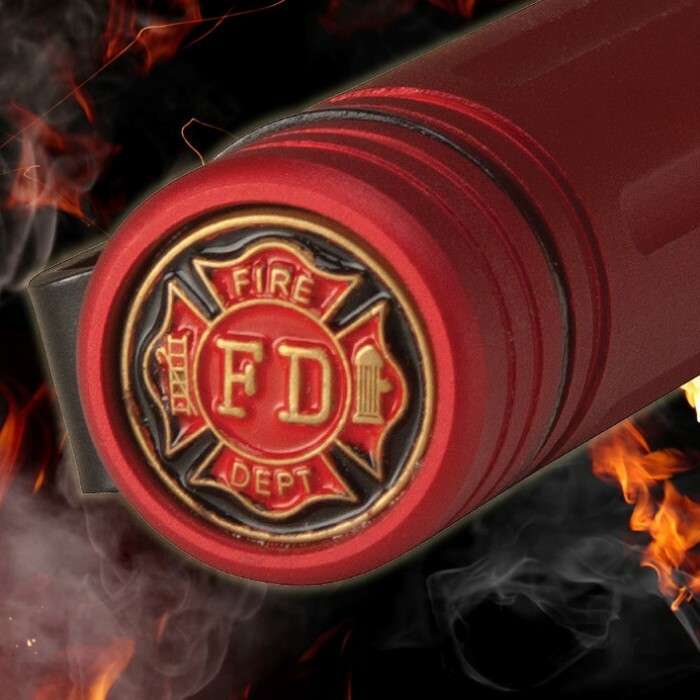 This Firefighter Defense Pen costs only $6, but is identical in function to those costing $10, $20, $30, even $40. I bought one red for car, one black for pocket. I always carry a tiny Swiss knife, a medium folder, and usually something bigger -- but everyone is most impressed with the tactical pen! I've been using them every day for a couple of months, and they work flawlessly. Cap snaps open/shut cleanly. Spring clip is great steel, stays tight. Ink flows smoothly. Seriously, this is the deal of the century. Just flew >8000 miles last month, and had to check baggage for Leatherman and boot knife, which costs big $$$. If it weren't for tactical pen, I'd have felt naked in airports. Even if you think you don't need one (but you *do*) you should get these for your friends who understand that tactical is all times and all places. I'm getting 3 more. These totally rock!